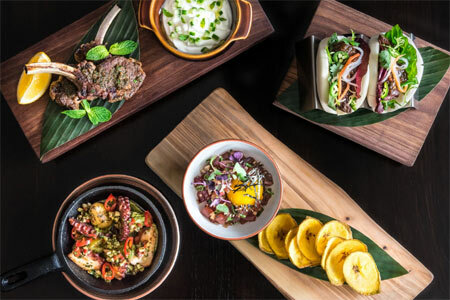 The team behind Peruvian restaurant Tanta has opened a 70-seat globally-influenced craft cocktail lounge, Arbella, just down the street. Arbella, 112 W. Grand Ave., Chicago, IL 60654, 312-344-1673. With a 10-barrel brewing system and an emphasis on malts, honey and botanicals from Chicago and surrounding areas, Cruz Blanca produces craft beers for all of Rick Bayless’ restaurants. A walk-up taqueria lets guests choose from options like flank tasajo, chorizo or portobello. Cruz Blanca, 900 W. Randolph St., Chicago, IL 60607, 312-733-1975. SteakBar, the first collective concept from Four Corners Tavern Group and Hogsalt, slings tuna poke, burgers and meat and fish steaks to a rowdy Old Town crowd. With fully retractable, garage door-style windows spanning the entire façade of the building, as well as a 30-seat patio along Wells, you can soak up the sun while grabbing weekend brunch or stop by for nachos topped with BBQ brisket, avocado, sour cream and charred tomatillo salsa after a late night on the town. SteakBar, 1500 N. Wells St., Chicago, IL 60610, 773-966-0404. Kizuki Ramen & Izakaya, a Tokyo-based chain, opened its first Midwest location in Chicago. It’s an 85-seat full-service restaurant offering four different types of noodles in creamy pork broth or a vegetarian alternative. The izakaya side of the place serves Japanese-style bar food including pork gyoza, bao buns and chicken wings. Kizuki Ramen & Izakaya, 1482 N. Milwaukee Ave., Chicago, IL 60622, 773-270-4150. Bang Bang Pie Shop's second outpost, located in Ravenswood, serves an assortment of pies and biscuits similar to that offered at its original Logan Square shop. The new place is twice as big, with 34 seats, a bar, communal table and fireplace lounge. Bang Bang Pie Shop, 4947 N. Damen Ave., Chicago, IL 60625, 773-530-9020. Leña Brava is Rick Bayless' live-fire cooking restaurant in the West Loop. Husband-and-wife team Fred and Lisa Despres helm the kitchen. Expect a raw bar and an expansive selection of mezcal. Leña Brava, 900 W. Randolph St., Chicago, IL 60607, 312-733-1975. 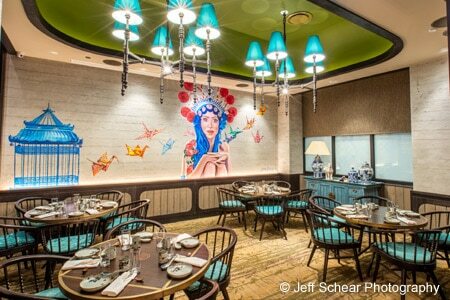 Imperial Lamian is Indonesia-based Imperial Group’s first restaurant in the U.S. Enjoy authentic Chinese noodles, dim sum and barbecue in an elegant, modern setting. Imperial Lamian, 6 W. Hubbard St., Chicago, IL 60654, 312-595-9440. Alinea has revealed a completely renovated restaurant and kitchen as well as new menus. The first-floor Gallery accommodates just 16 guests with a 16-18 course menu priced at $285-$345 per person. The second-floor Salon menu is priced at $175-$225 depending on the day of the week. The private dining Kitchen Table can host parties of six for $385 per person. Alinea, 1723 N. Halsted St., Chicago, IL 60614, 312-867-0110. The James Beard Foundation Awards took place on May 2, 2016, in Chicago. 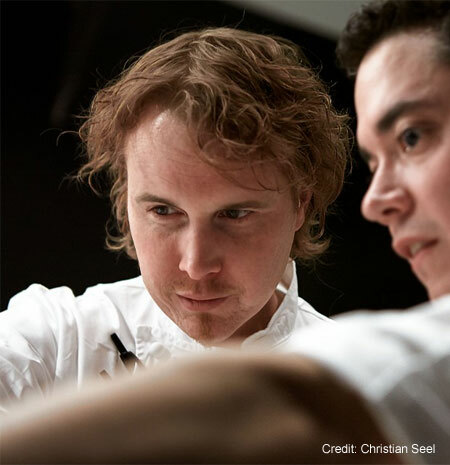 Alinea was recognized as Outstanding Restaurant, while Curtis Duffy of Grace was named Best Chef: Great Lakes.